Totally rad, dude! 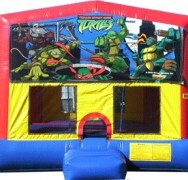 Join Donatello, Raphael, Leonardo, and Michaelangelo on an adventure to foil Shredder in this awesome TMNT Bouncer. 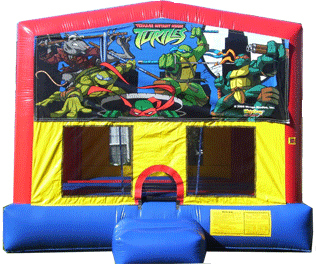 This bounce house has mesh windows so spectators can enjoy the fun along with the kids.